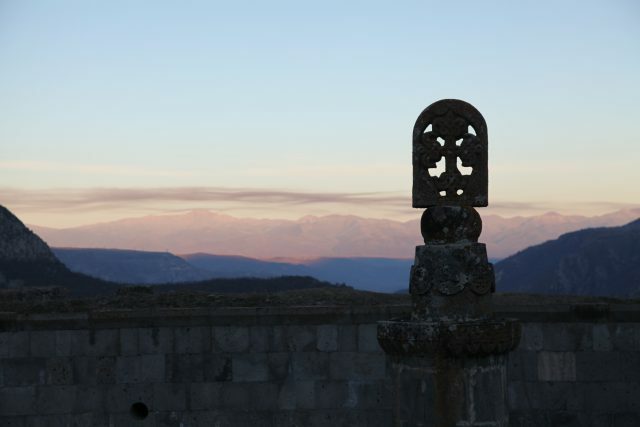 The picture has been taken inside Tatev monastery. This cross on the top of a pillar is shaking when there is vehicles or horses that get close to it. It has been built for that purpose. Tatev monastery has been conquired by Tamerlan in XIV AD and the legend said that when he saw this cross shaking, he decided not to fully destroy the monastery because he through it was a signed of God.